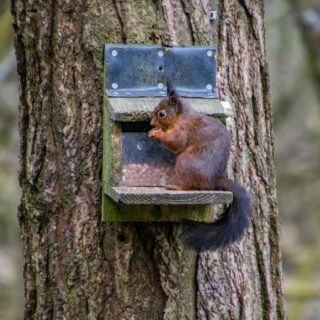 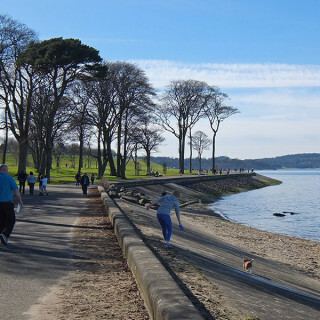 There was a change in the weather today, with sunshine and bright blue skies, something rather unusual after weeks of chilly temperatures. 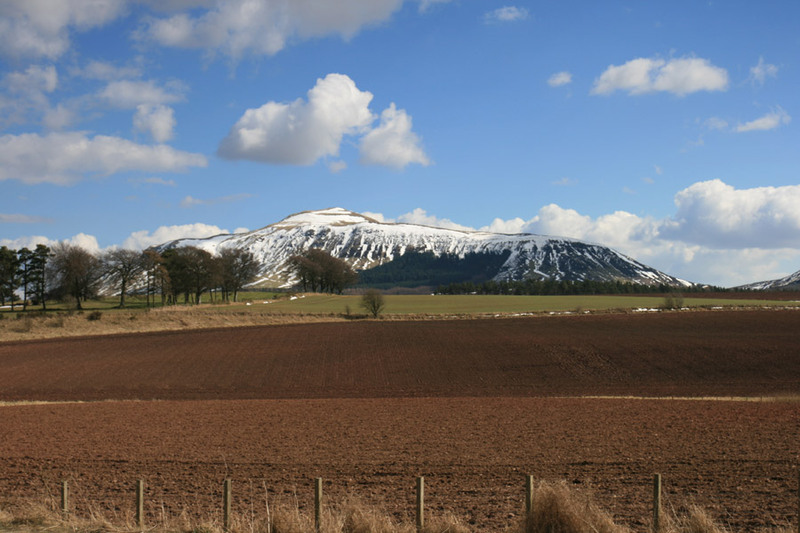 We set off for Falkland in Fife, but stopped on the way just outside Strathmiglo, primarily to take a photo of Corston Tower, but there was also a good view of the Lomond Hills, covered in snow. 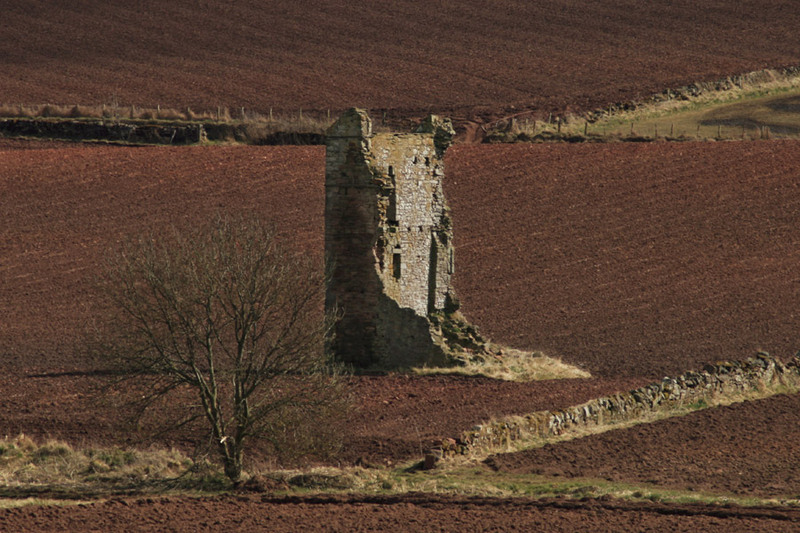 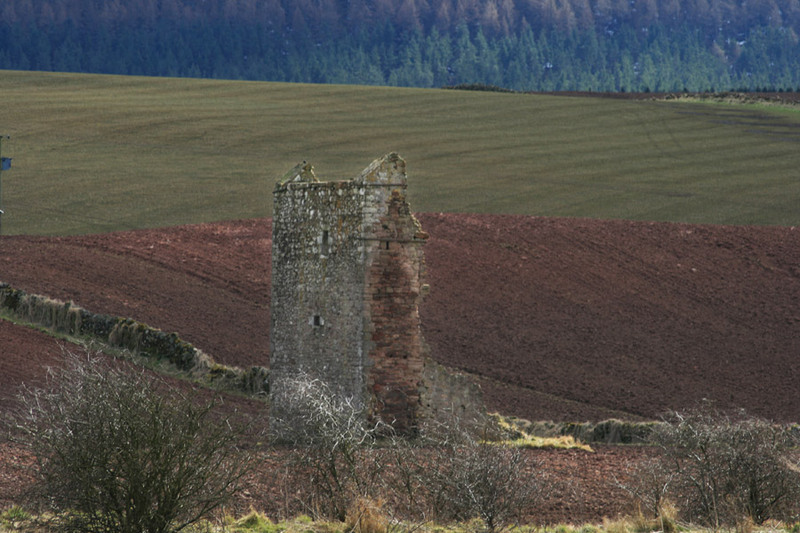 Corston Tower is a ruined 16th century tower house, of which only the east gable still stands. 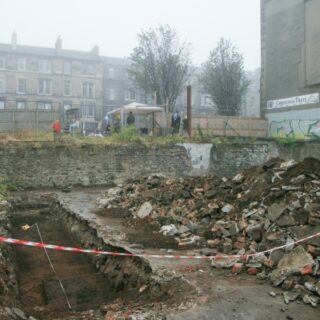 It was apparently almost intact until the 1880s, when a major collapse occurred leaving only the east end standing to its full height. 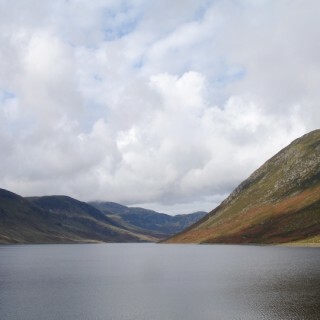 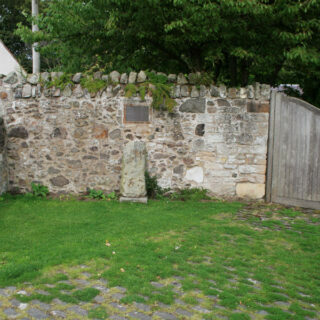 We continued on through Strathmiglo to Falkland, and parked in the centre of the village. 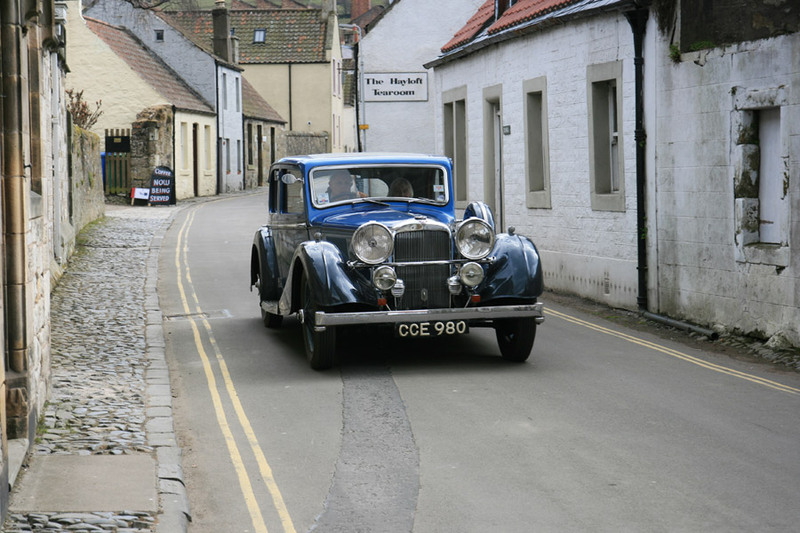 As we walked up Cross Wynd to the High Street a vintage car passed us. 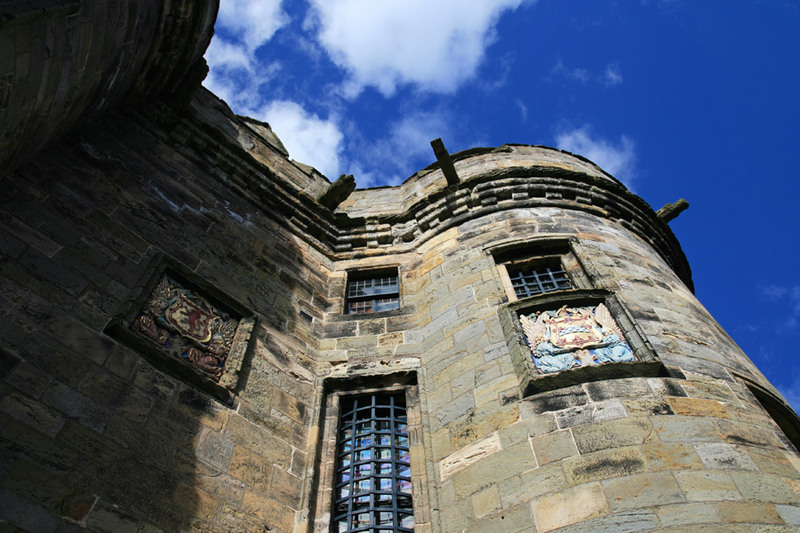 Despite the promising earlier sunshine, stormy clouds were gathering overhead, creating a rather dramatic backdrop for Falkland Palace. 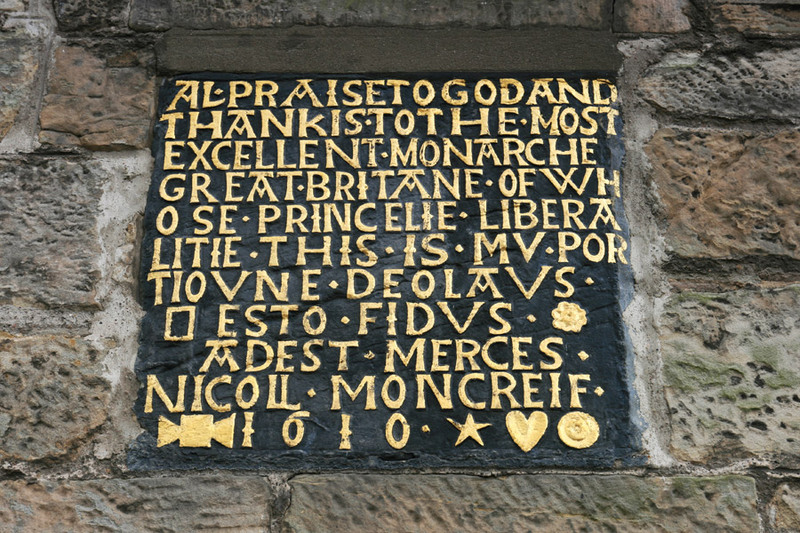 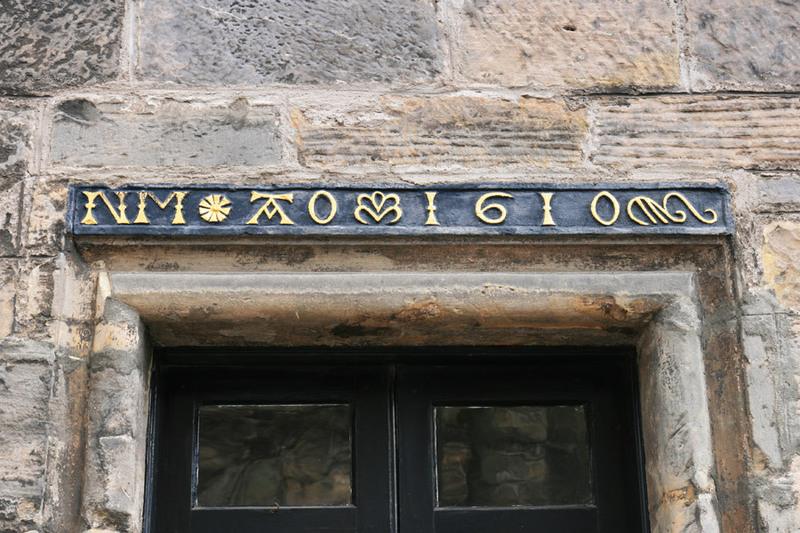 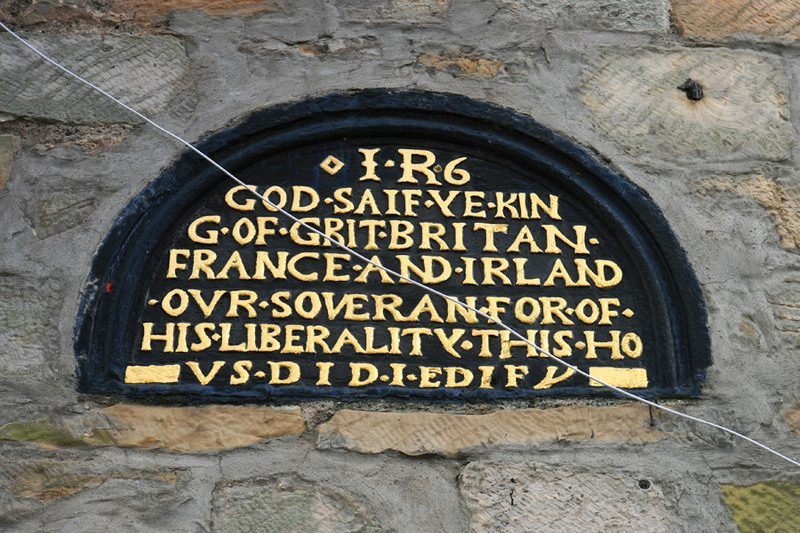 Before visiting the Palace we took a few photos of buildings on the East Port and High Street, many of which have carved inscriptions with 17th century dates. 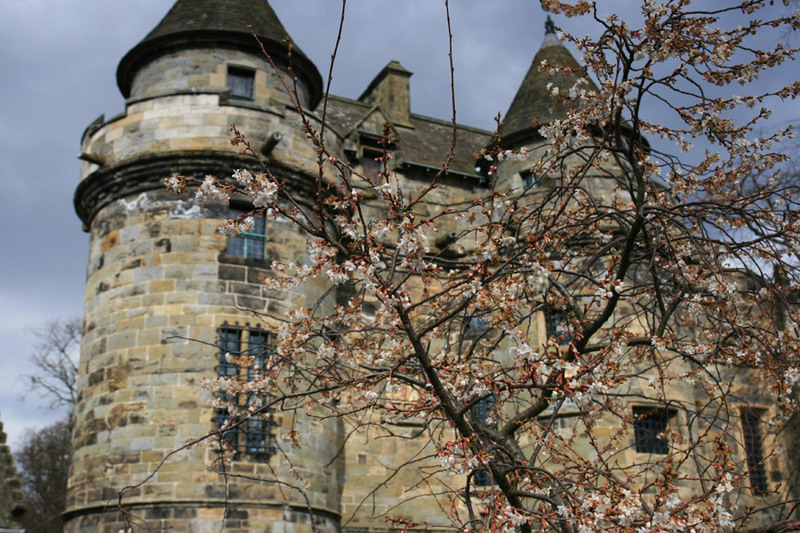 A cherry tree in front of the Palace was blossoming, a rare sign of Spring after an unusually long Winter. 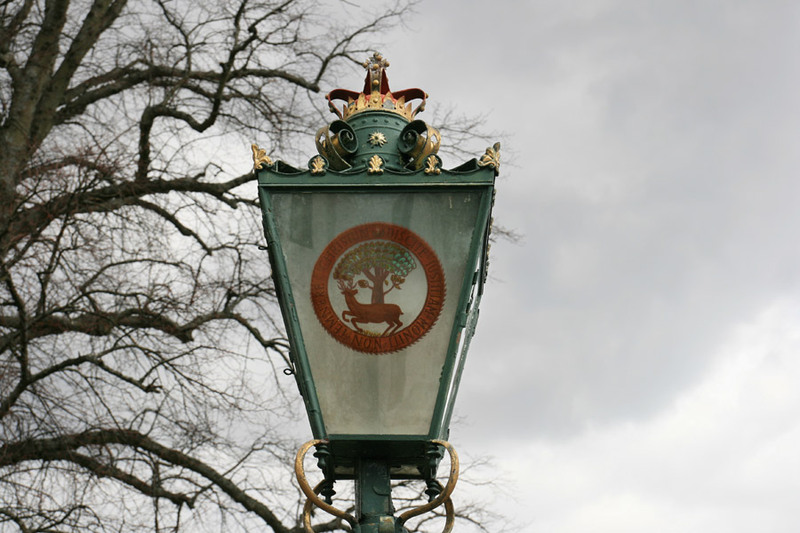 Immediately outside the Palace is an old ornate street light featuring the village’s coat of arms, a stag under an oak tree. 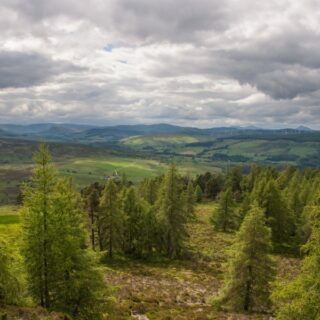 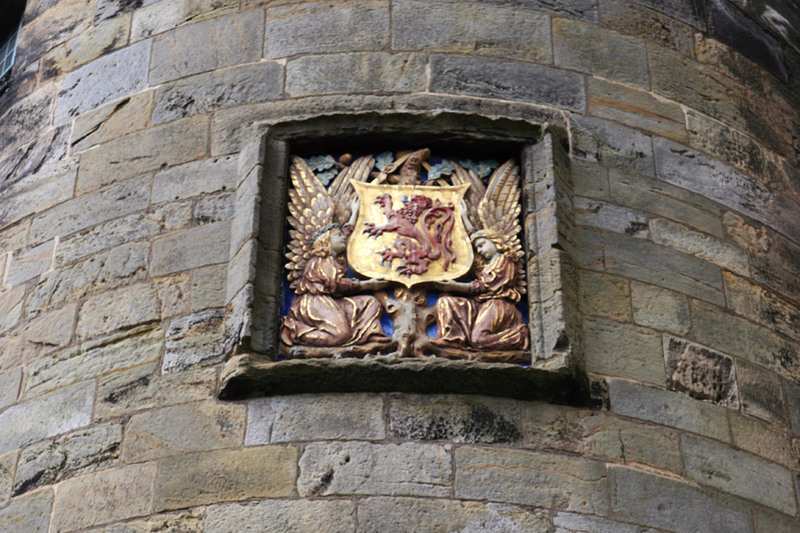 This represents the old Royal hunting forest of Falkland. 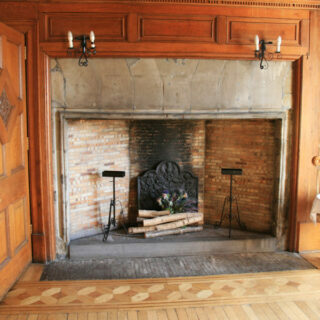 Finally we made our way into the Palace. 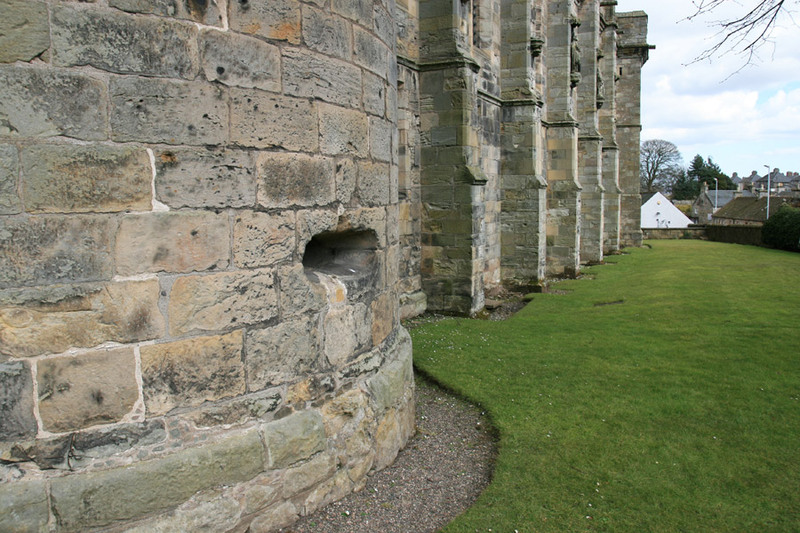 Considered to be the finest French-influenced Renaissance architecture in Britain, it also served a defensive purpose, as the gun loops at the bottom of the round towers flanking the entrance suggest. 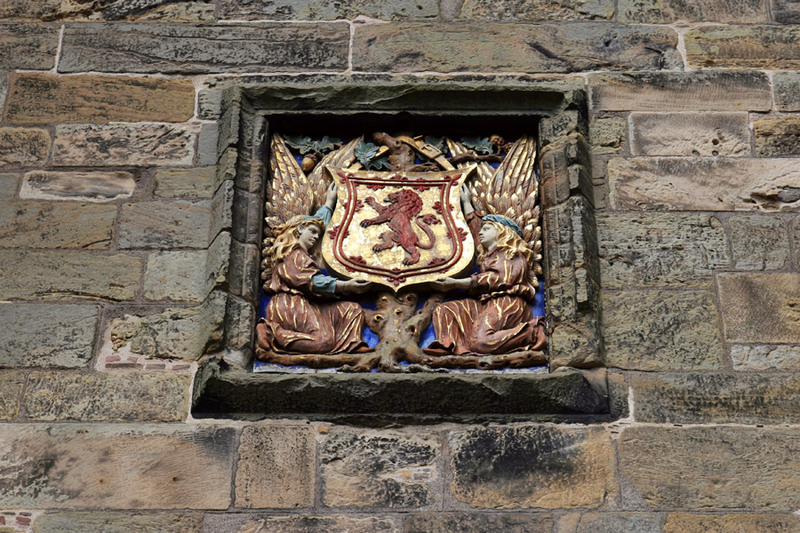 Above the entrance and on both of the round towers are carved and painted armorial panels showing the Lion Rampant. 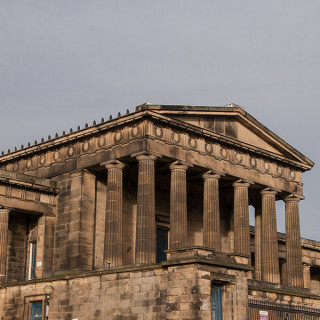 Photography isn’t allowed inside the Palace, so you’ll have to use your imagination (or look at the RCAHMS’ images). 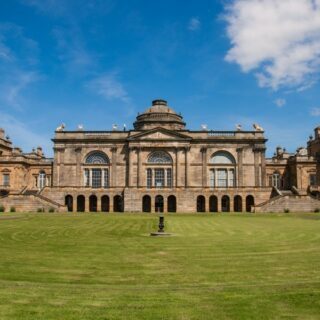 Suffice to say the interior is rather grand as befits its status as a Royal palace. 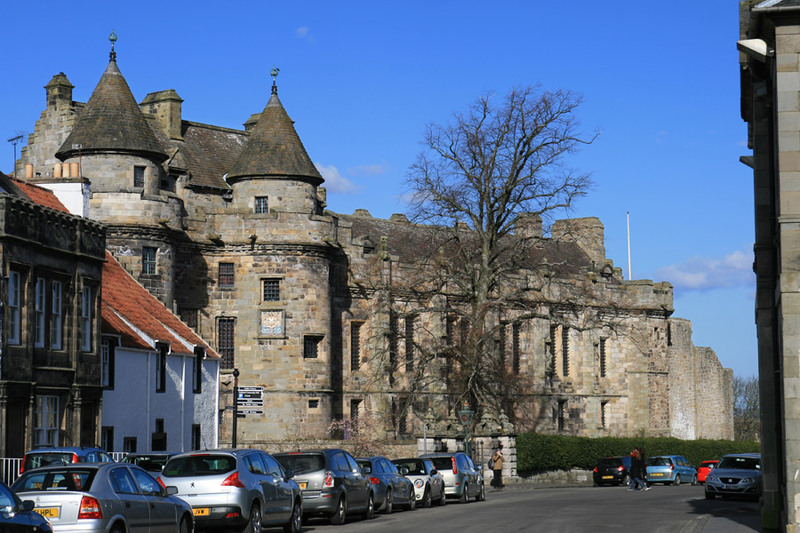 Falkland Palace was begun in its current form around 1500 by James IV, replacing the earlier Falkland Castle. 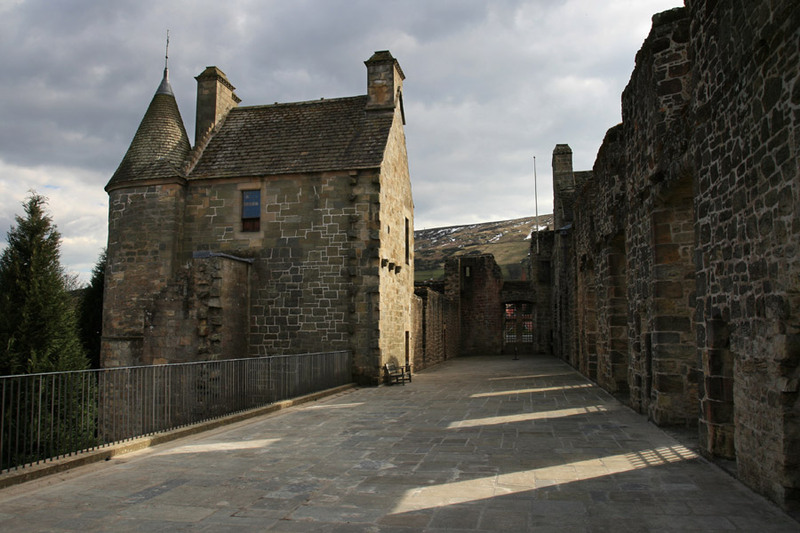 It consisted of three wings built around a courtyard, with a wall joining the north and south wings closing the courtyard on the west side. 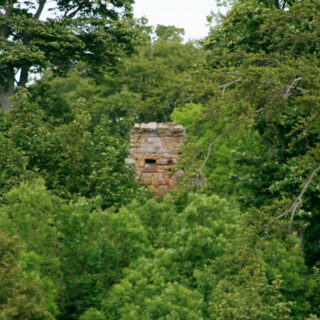 Projecting from the middle of the ruined East Quarter is a small rectangular tower, known as the Cross House, and a round stair tower. 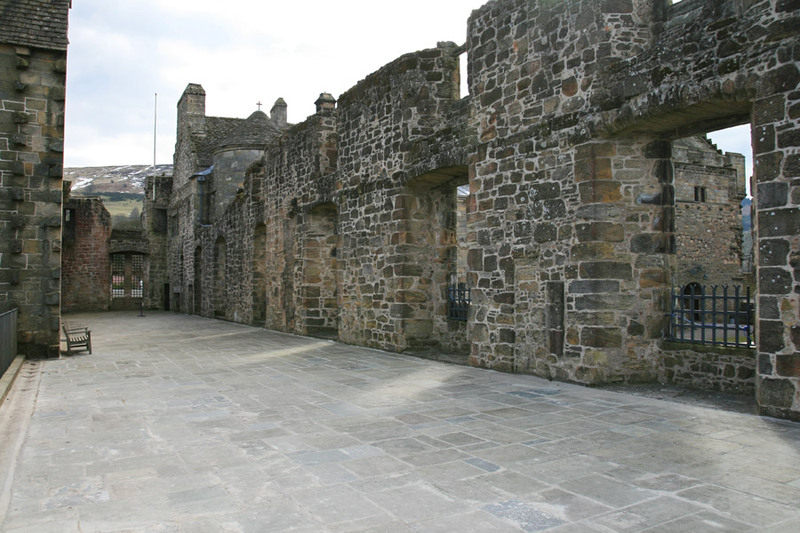 The ground floor of the East Quarter is vaulted and remains intact, as does the majority of its courtyard façade. 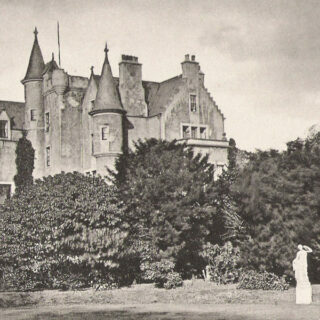 The Cross House stands to its full height, having been rebuilt from the first floor upwards during the 1890s. 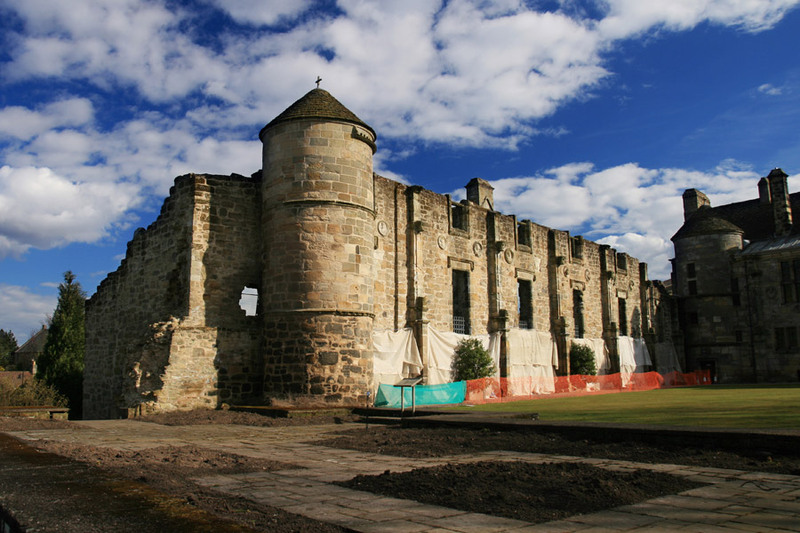 The North Quarter contained the Great Hall, and dates back to the mid 15th century, and was probably built by James II. 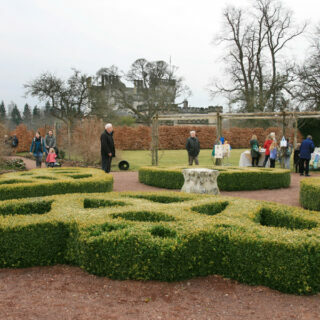 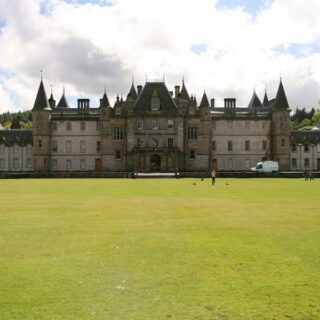 It is thought to have been similar in form to the palace at Stirling Castle. 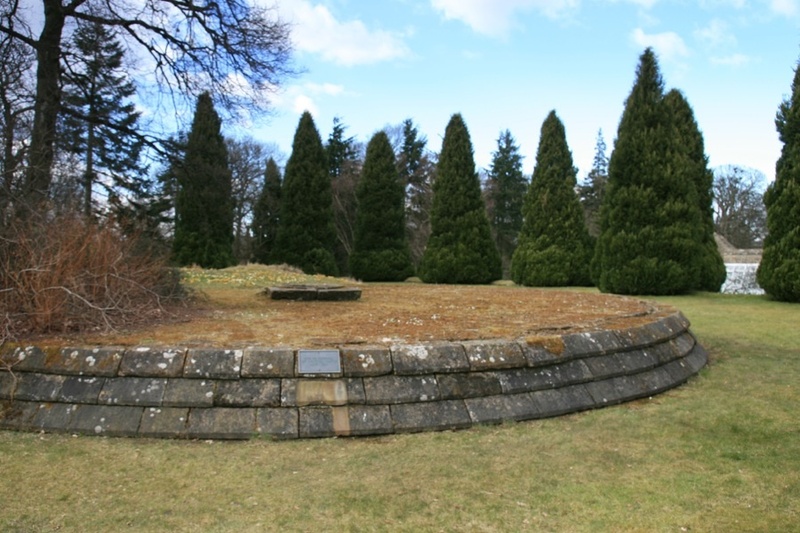 Only the foundations now remain, marked with paving slabs laid out by the 3rd Marquess of Bute following excavations in the 1890s. 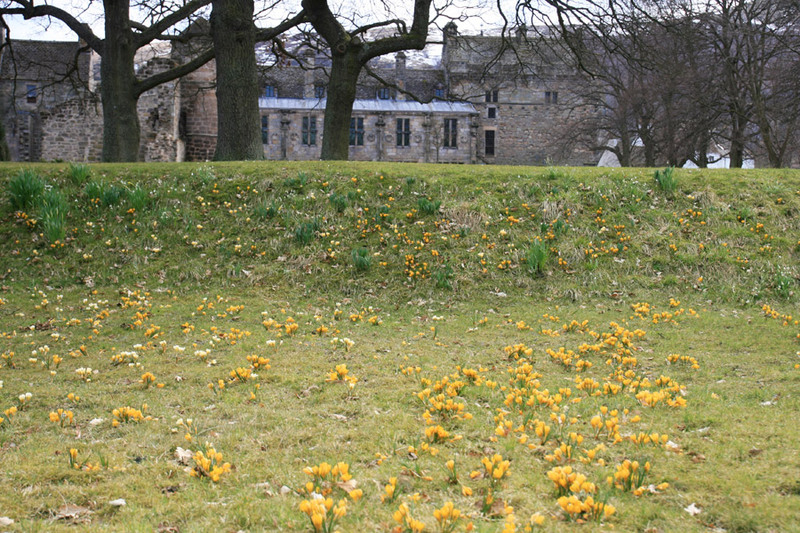 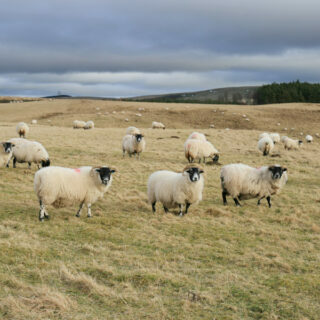 Beyond the North Quarter is a flat terrace of grass, the slopes of which were carpeted with bright crocuses, a sure sign that Spring has finally sprung. 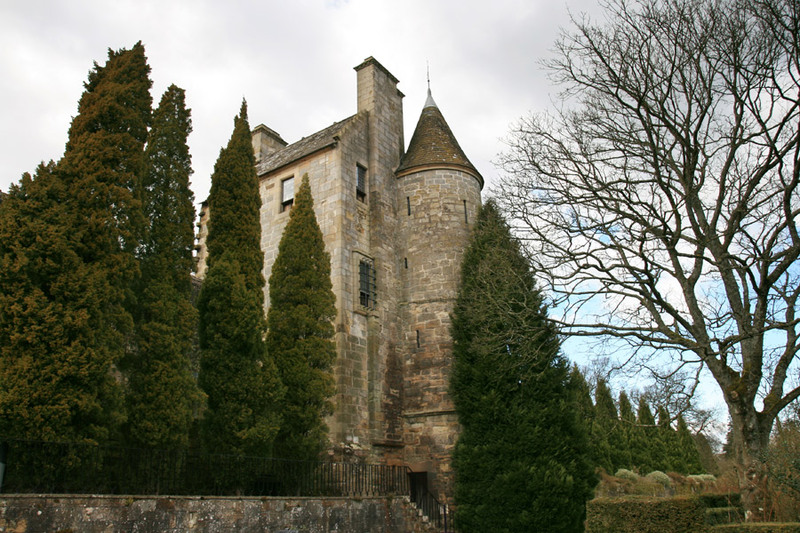 Below the terrace is the site of Falkland Castle, built in the 12th century and seemingly superseded by the Palace in the 15th century. 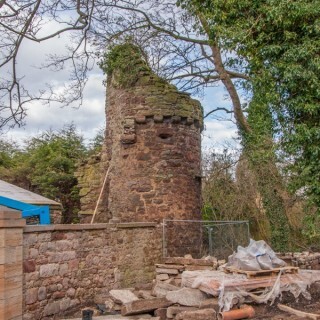 All that remains are the footings of two towers, one of which was consolidated during the excavations and renovations of the 1890s. 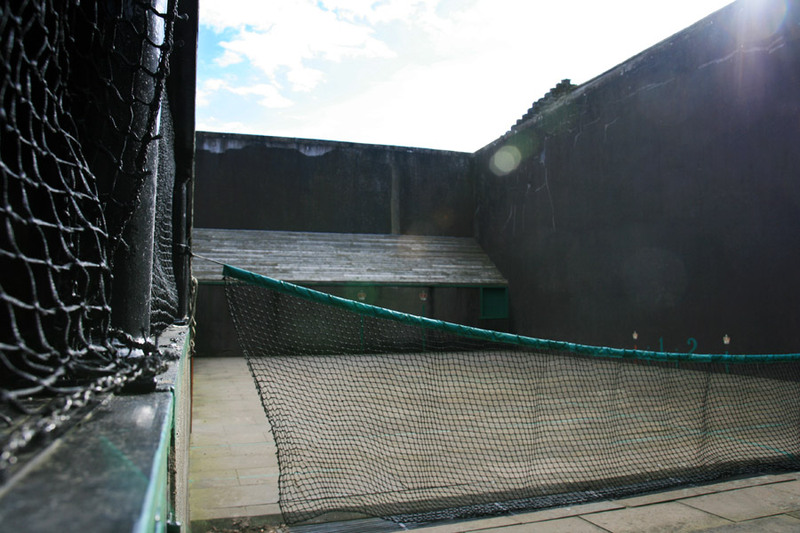 At the north end of the gardens is a real tennis court, built in 1539 and the World’s oldest tennis court still in use today. 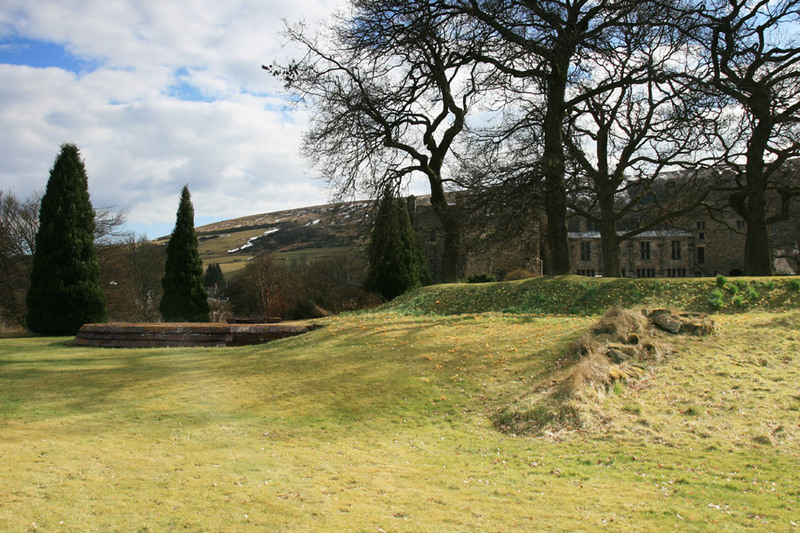 After wandering through the gardens – disappointingly barren due to the seemingly delayed Spring – we returned to the Palace, where the slabs marking the North Quarter serve as a good viewpoint for the inner façade and circular stair tower of the East Quarter. 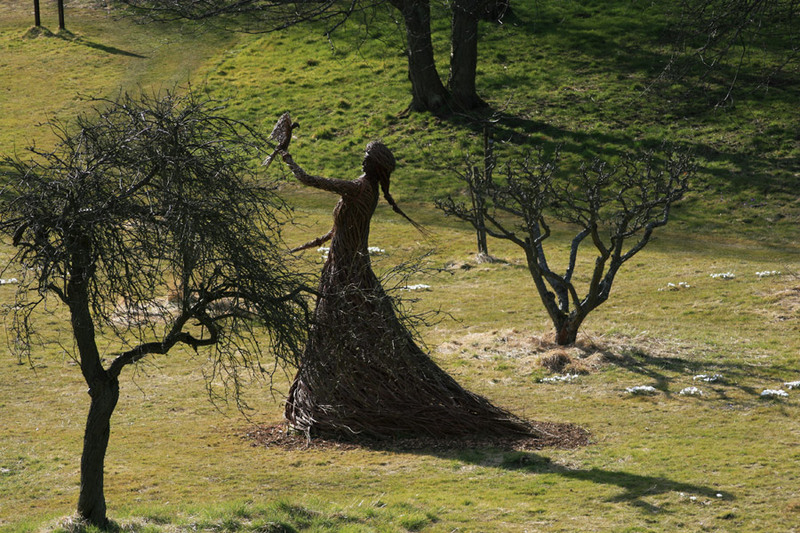 As we made our way along the edge of the courtyard we spotted the fantastic willow sculpture of The Queen by Trevor Leat in the orchards to the west of the main gardens. 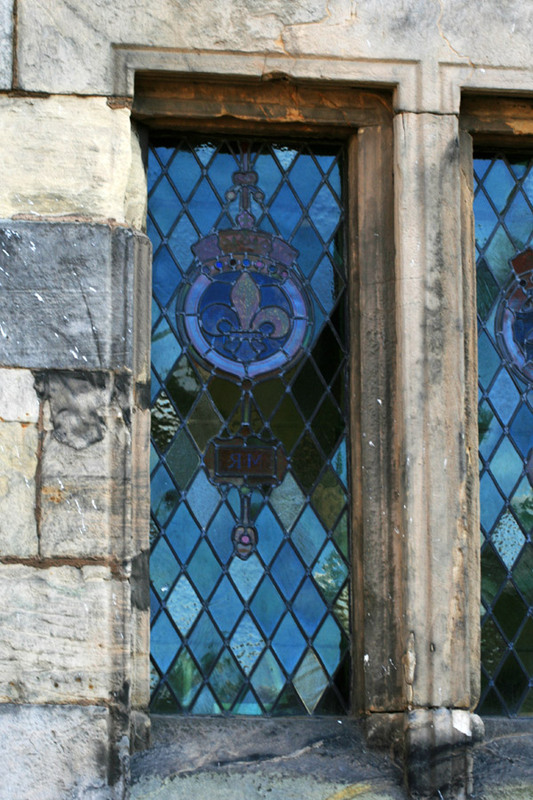 The north façade of the South Quarter features stained glass windows which give light to the gallery within. 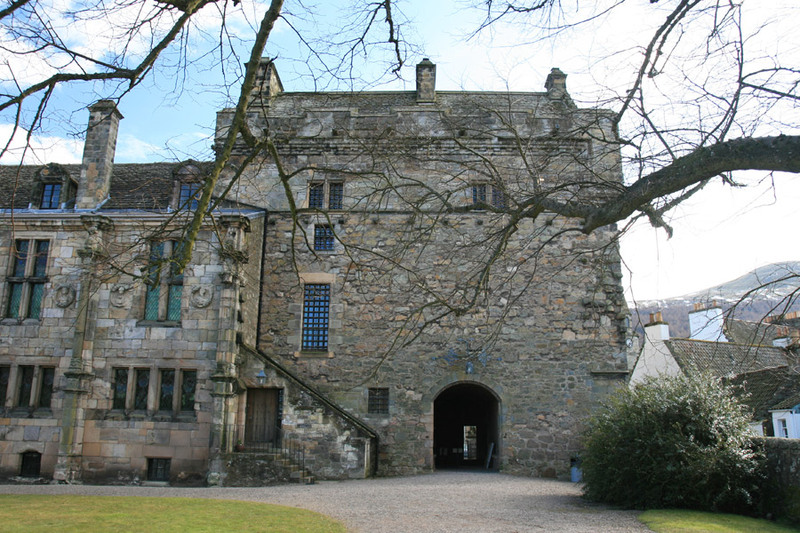 At the west end of the South Quarter is the gatehouse, which when viewed from the inside has the distinct appearance of a 15th or 16th century tower house. 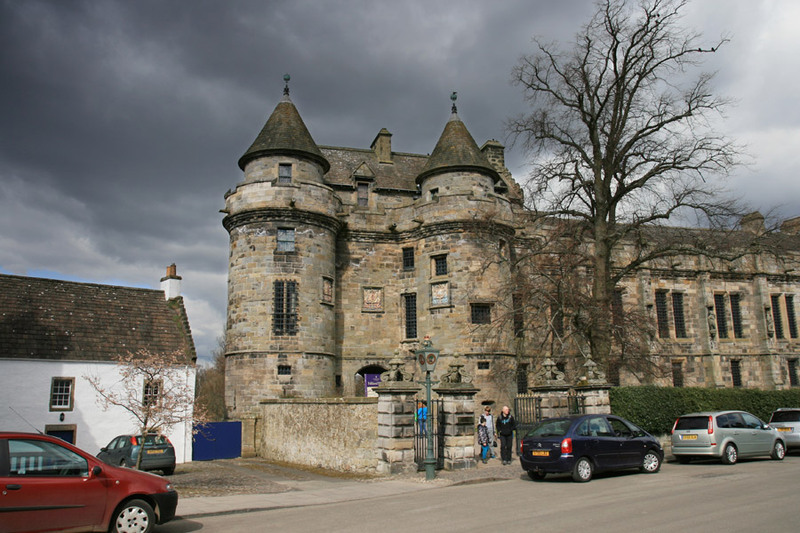 The gatehouse was built between 1539 and 1541 but is thought to incorporate earlier work. 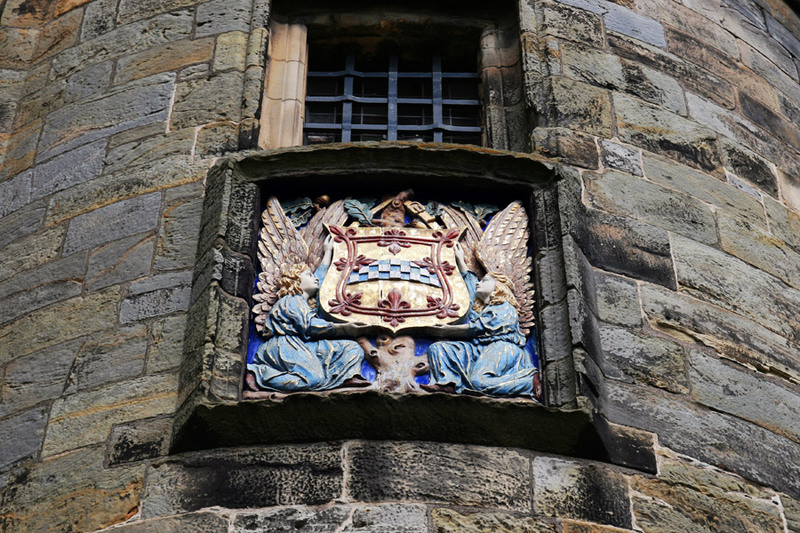 Passing through the gatehouse we stopped to take some more photos of the South Quarter’s outer façade, since the dark clouds had now given way to bright blue skies. 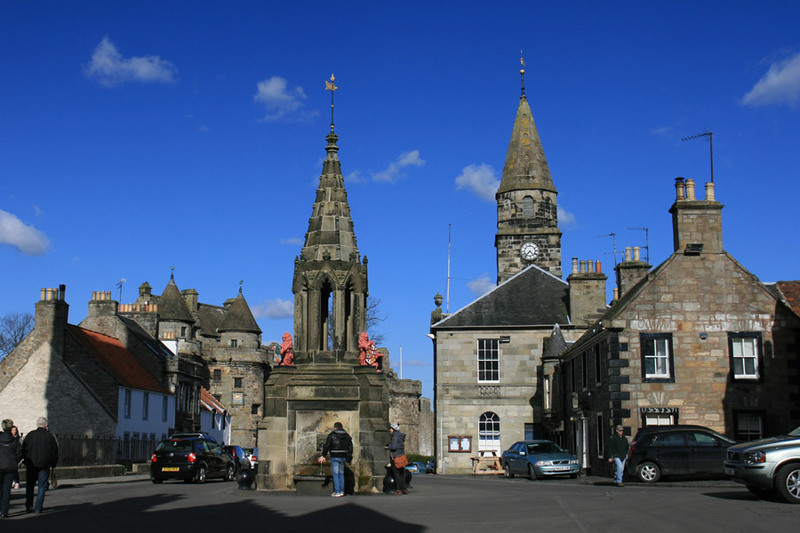 We wandered along the High Street to the Bruce Fountain, donated to Falkland in 1856 by Onesiphorous Tyndall-Bruce who was the Hereditary Keeper of Falkland Palace. 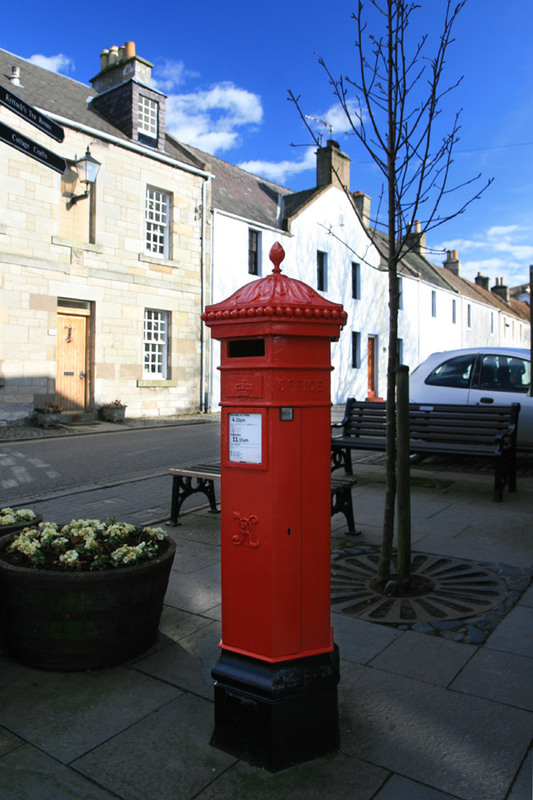 On the way back to the car we passed an old Victorian post box. 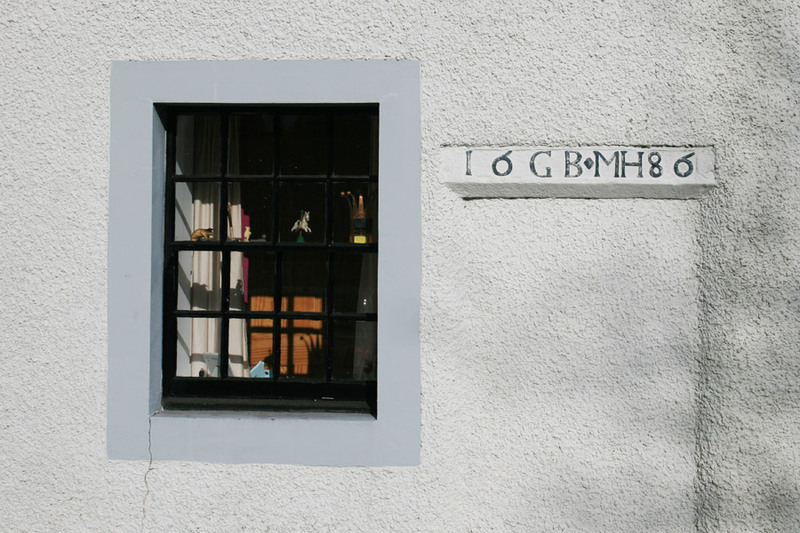 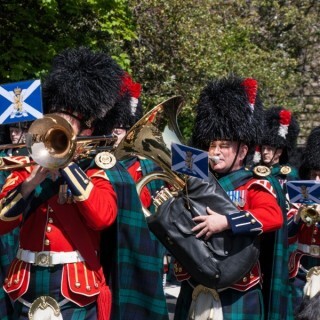 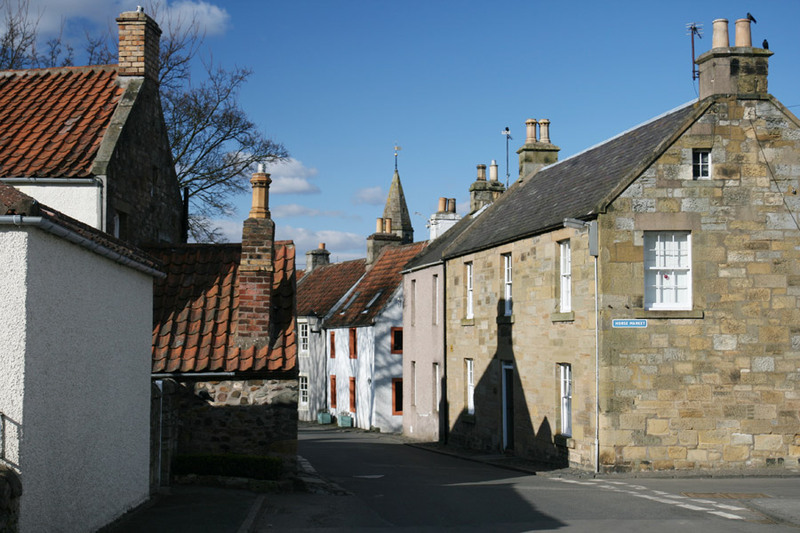 Falkland is a very picturesque and photogenic village, as befits its status as Scotland’s first conservation village. 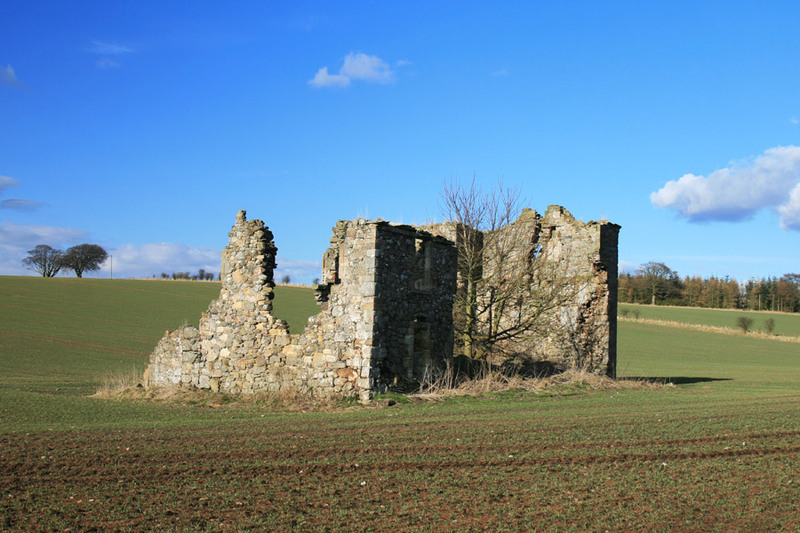 On the way home we took a slight detour to visit the ruins of Kirkforthar House. 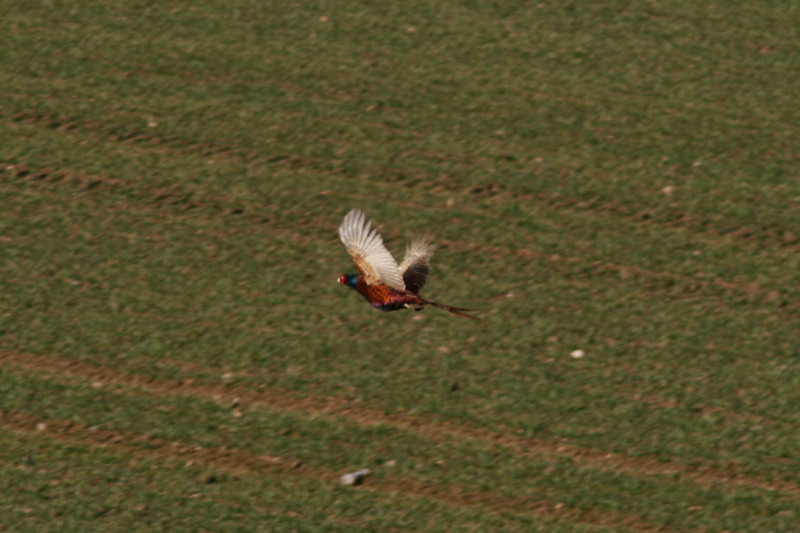 It is approached via a track through a small wood, and as we emerged from the trees wildlife scattered in front of us, with a hare running up the field and a pheasant taking flight. 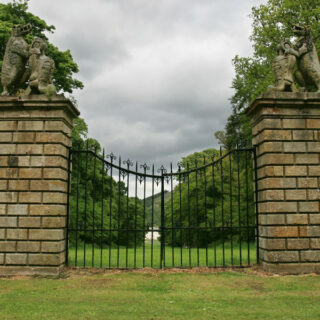 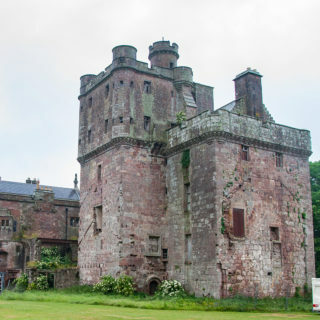 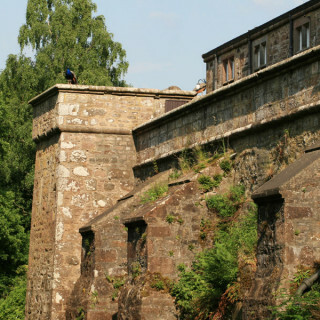 Although Kirkforthar House no longer has the look of a place of strength, it was once a castle surrounded by a moat, no trace of which now exists. 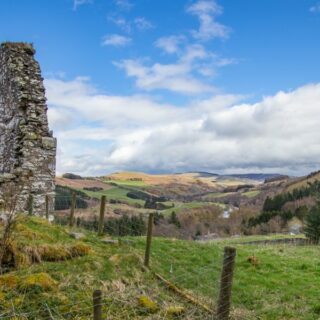 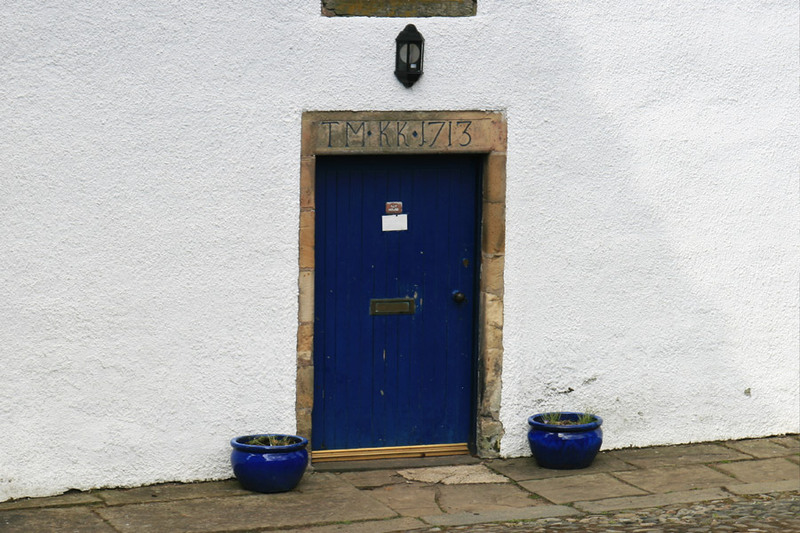 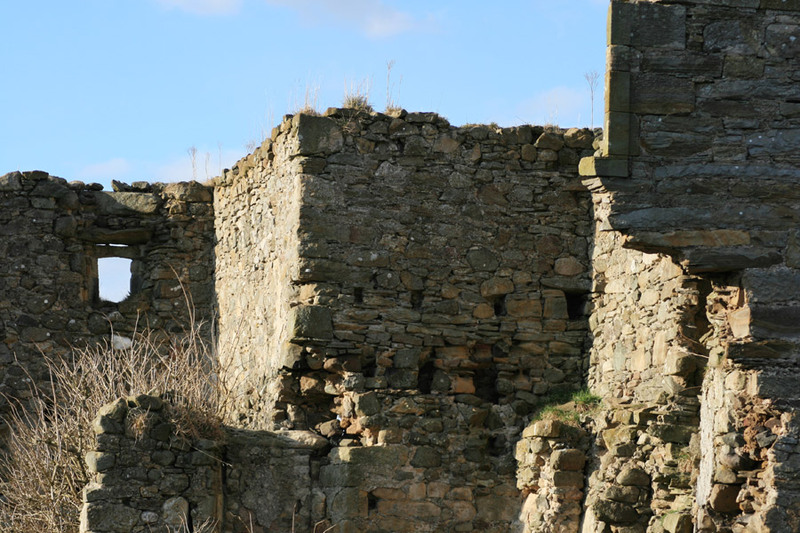 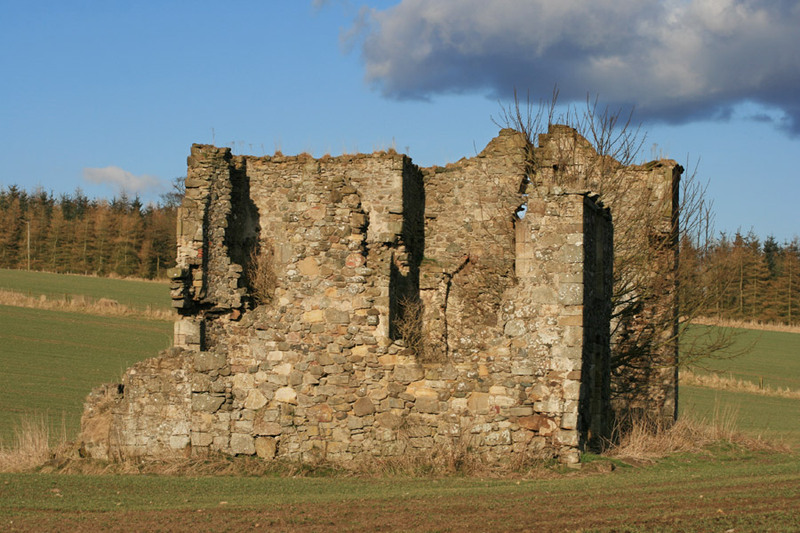 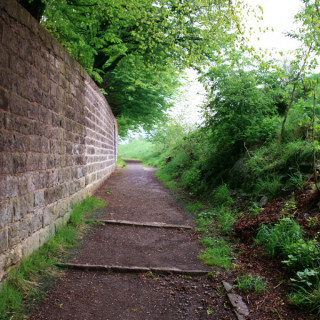 Kirkforthar was owned from at least the mid 15th century by the Lords Lindsay of the Byres. 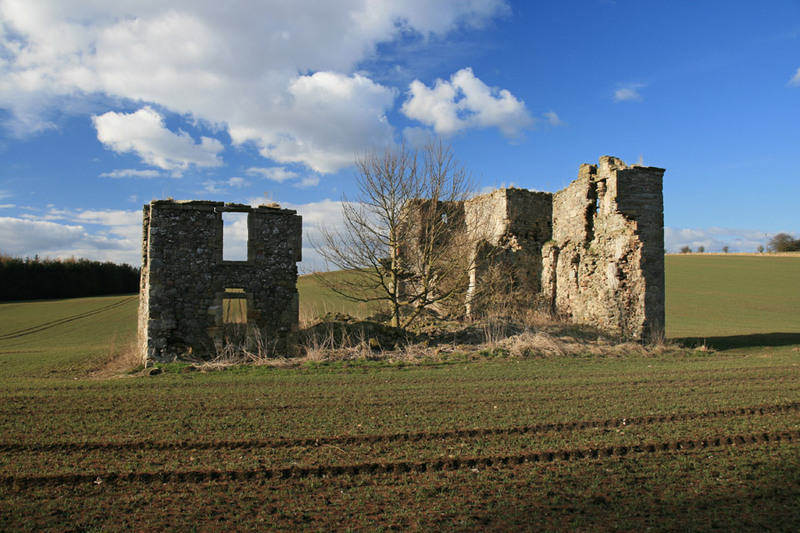 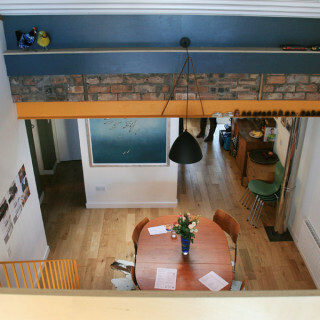 Essentially all that is now left are the east and west gables which are thought to be part of a 17th century house that was remodelled in the 18th century. 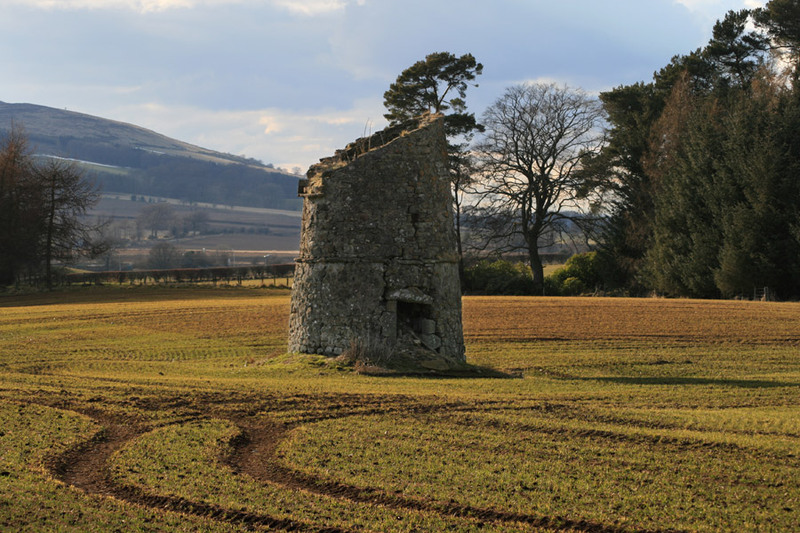 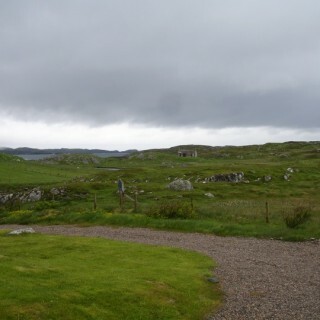 To the west of the house is a 17th century doocot. 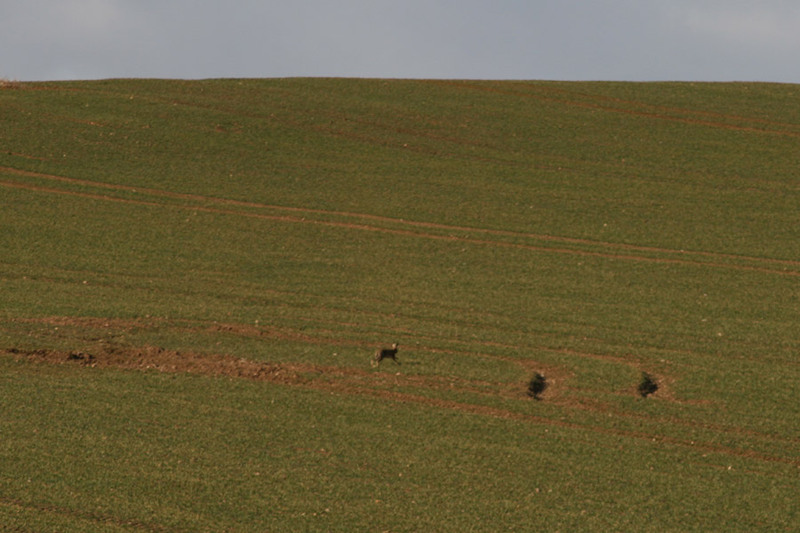 Since the field had young crops in it we had to make do with distance shots. 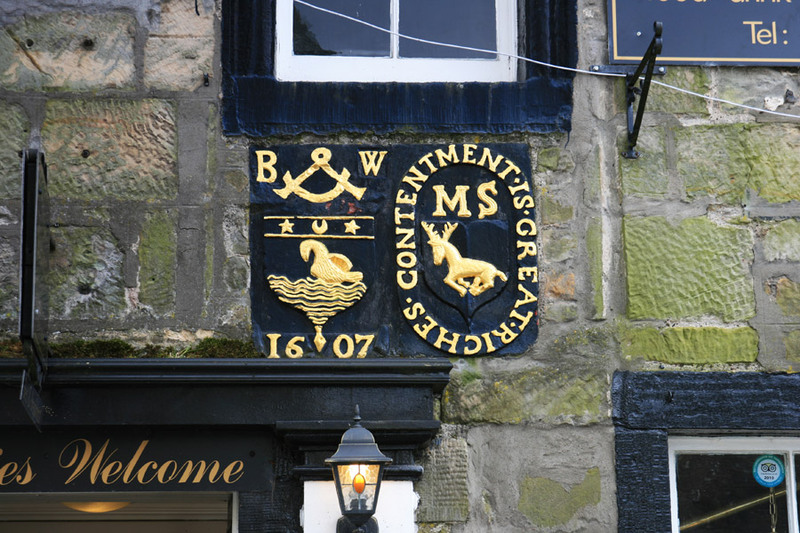 While what is left owes much to the styles of the 18th century, it’s interesting to know that this building has a much older history. 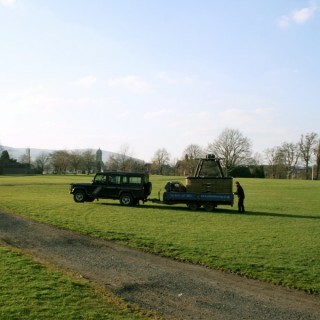 With the sun on its way down, we returned to the car and set off back to Edinburgh. 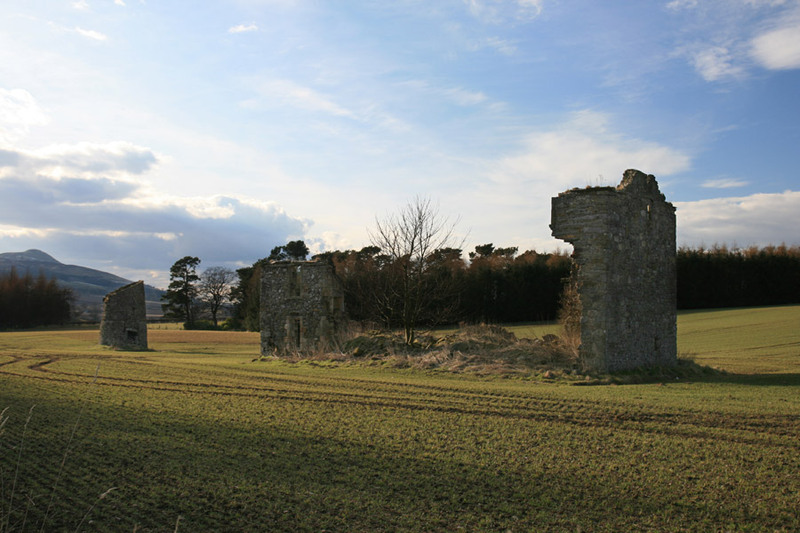 Published on the 6th of April 2013 at 10:03 pm. 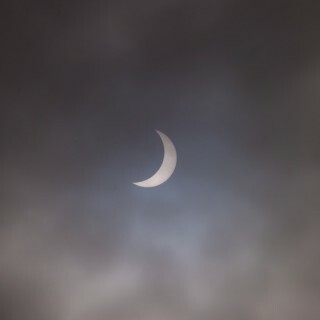 Updated on the 28th of January 2016 at 12:52 pm.